Here’s why. Because while there’s no replacement for deep category expertise, it’s just as important to get outside the categories we’re immersed in everyday. There are always new ways of seeing, thinking and acting that we can grab on to to help our health and wellness clients enhance their relevancy and stand apart from their competitors. In this case, we thought it would be a good exercise to dive into two very different businesses across two very different categories. Caveat: our exploratory is only as deep as their respective websites, but they reveal a lot. These two businesses are seemingly 180° away from one another, as well as that of a health system or hospital. We know that the expectation of a simple, enjoyable and rewarding (frictionless) customer experience knows no category boundaries. What customers experience from Charles, or Charlotte or Amazon – they also expect from healthcare. To start with, Schwab’s voice is simple, human and clear, i.e. What We Offer, What We Charge, Why Schwab. They’re likely three questions (uncovered by Schwab in research) on the minds of the typical investor. And they quickly answer them. Insights then empowers their prospective customer to get smart about a wide range of investing topics, and gives them the choice of their preferred formats, e.g. articles, podcasts, magazines, webcasts, workshops. By the way, did you notice where the home page photo came from? Look on the bottom right of the page. It’s from a Schwab client. We know how important “participation” is to customers. We also know that brand success is predicated on the extent to which consumers are active participants in a brand’s programs. Important to note, as this small example reinforces, size of organization isn’t a requisite to be a leading participation brand. Caveat: We haven’t researched what elements prospective investors really value in the financial services category. 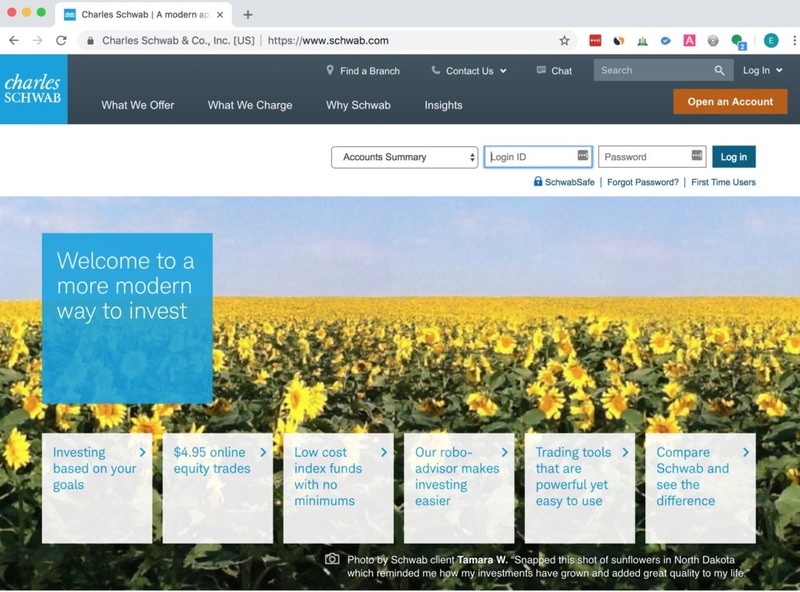 But the functional elements that Schwab delivers from its website experience (simplifies, informs, saves time, reduces risk, etc.) as well as the emotional elements (provides access, reduces anxiety, provides hope, etc.) are elements that transcend categories. And it’s these emotional elements that allow companies to connect with consumers on a deeper level – and are worth a great deal in the ongoing battle to earn loyalty. 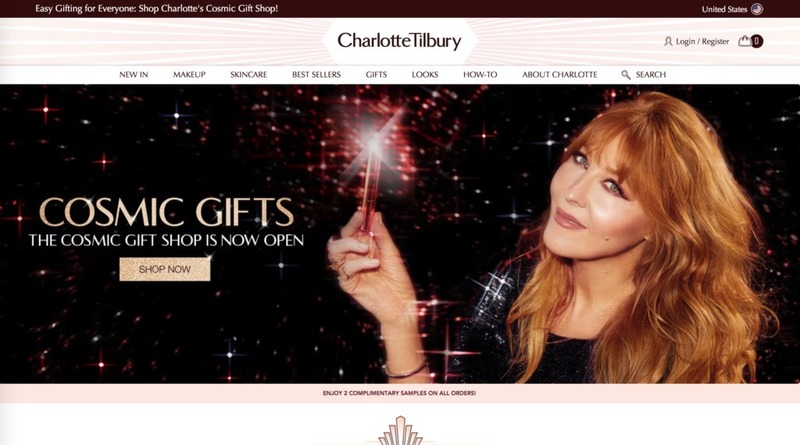 Arrive at the Charlotte Tilbury website and you’re greeted with this “Get Backstage Access” invitation. Wouldn’t it be interesting (and quite differentiating) if a health system CEO welcomed prospective patients to their health system or hospital website – and invited them to sign up to hear about the organization’s latest services, watch how-to videos, and much more! Immediately, this experience would leverage the importance of “participation” to create more relevant healthcare marketing and deliver desired emotional elements of rewarding, educating/entertaining, providing access, among others. Consumers want to know what’s behind the brand curtain. Charlotte reveals it here. They expect honesty and openness and expect brands to place this at the heart of their marketing. Regardless of category, brands are being expected to highlight their own transparency credentials – as transparency moves from a “nice-to-have” option into a need-to-have asset that all organizations (including health systems and hospitals) must consider. Another highly-desired brand attribute that transcends categories is dynamism. Leading brands constantly move and evolve to keep their consumers interested, engaged and loyal. And Charlotte delivers. Even a health system or a hospital should be promoting (in their own way) their own version of New In, Best Sellers and Gifts. Keeping their brands fresh and relevant, and upping the ante to create new and greater value for customers. Another thing Charlotte does extremely well is she truly embodies a differentiated and compelling brand personality–much of which is guided and driven by her personal experience and expertise which people gravitate toward. It is consistently expressed across every channel she uses – digital, social and through in-store experience. To continue to attract patients and grow revenue in today’s fluid healthcare environment, health systems and hospitals need to deliver what consumers really want. And thanks to “the Charles and Charlotte effect” (feel free to substitute brand names), what consumers want has been redefined. Because expectations are boundary-less. 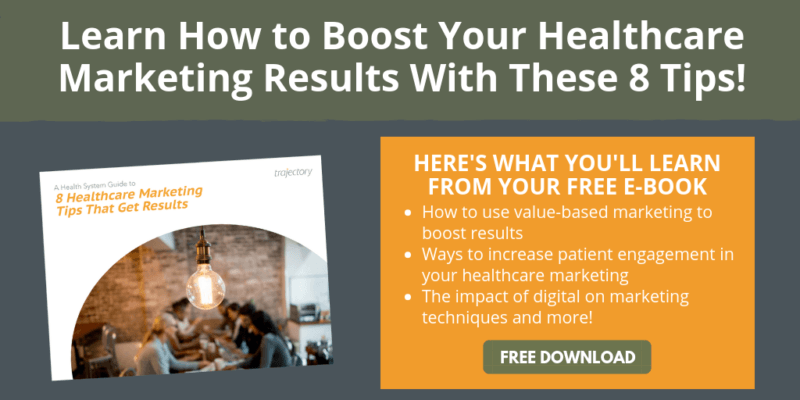 If you’re setting healthcare marketing strategy for your organization, be sure to look outside the category. Because these are the brands that are setting the agenda for the experiences that really matter to consumers in your category. We’re healthcare marketing agency experts who combine a fresh point-of-view to move customers, brands and businesses upward. Reach out for a conversation.